Shares of the Everett-based pop-culture collectibles company fell more than 40 percent after its initial public offering despite being priced below the expected level. Funko shares plunged more than 40 percent from its initial public offering price Thursday, earning the Everett-based marketer of pop-culture collectibles a dubious distinction. Funko shares closed at $7.07, down 41.1 percent from its IPO price of $12, according to Nasdaq. The offering price itself was dialed down from the anticipated range of $14 to $16. A database on the Nasdaq.com website Thursday showed the worst first-day performance among dozens of 2017 IPOs was that of Aileron Therapeutics, with a 28 percent decline. Funko was not yet included in that data. 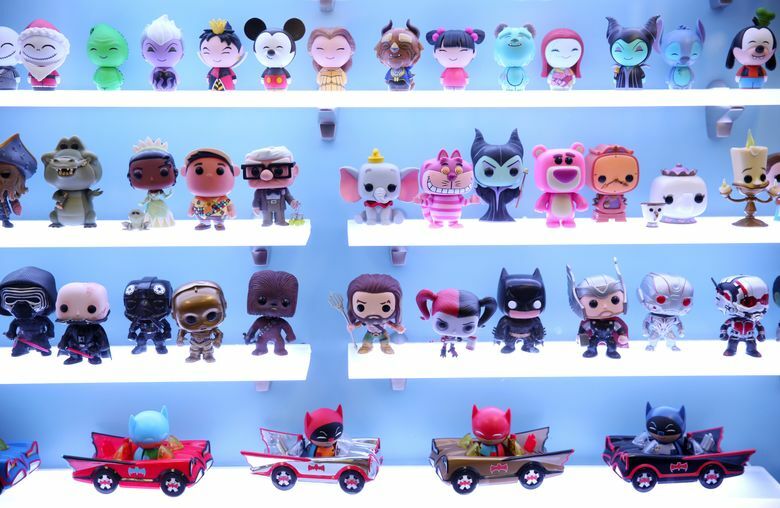 More than 9.7 million Funko shares traded hands on Thursday, nearly equal to the 10.4 million shares sold in the offering. Funko had aimed to sell 13.3 million shares or more, for as much as $245 million, although some of the proceeds would have gone to its private-equity owners, who were selling a small slice of their stake. Instead it sold 10.4 million shares at $12, meaning the total raised was about $125 million before the offering’s costs. The company has amassed considerable debt, partly due to $98 million in dividends paid to its private-equity owners. Much of the IPO proceeds were to have gone to pay down those liabilities, which totaled $339 million at the end of June, up from $217 million in December. Funko’s sales in 2016 totaled $426 million, up from $274 million a year earlier and $107 million in 2014. Such a first-day pounding can be a black mark for a stock but it’s not the final word, as Aileron’s subsequent performance shows. Since its first-day plunge to $10.80, it has traded as high as $14.91 — though it has not regained its offering price of $15.00, Nasdaq data show.